Thanks to Bernie Quinlan, in this article and video we will share the history of Australia’s most well-known bunch ride, the Hell Ride. As part of a documentary Bike Chaser was looking to get funding for late last year on the Hell Ride, I personally reached out to the Western Bulldogs to see if we could get the contact details of an AFL legend, Bernie Quinlan (aka the ‘Superboot’). Not only is it general knowledge within the peloton that Bernie started the ride in the 1980’s, he has been quoted many times in previous pieces written about the Hell Ride. However, never has there been anything written purely about the history of the Hell Ride, until now. If you want details on what happened with the Hell Ride documentary and our attempt to get funding, all is explained in the below video, including the full interview with Bernie. For future Hell Ride content, you can subscribe to Cam Nicholls YouTube here. First of all, the Hell Ride originally wasn’t called the Hell Ride. It was called ‘nothing’, according to Bernie. It was just three mates going for a bike ride. But let’s back the bus up a little further. In 1981 Bernie suffered an Achilles injury that become debilitating. For the 1984 pre-season he was looking for different ways to keep his aerobic fitness up without having to put pressure on what became a very sensitive Achilles area. Bike riding was the activity of choice, and in early 1984 Bernie started a small group ride with two other men. Bernie had moved to Black Rock, living in Second Street. Without mobile phones and other digital communication methods back then, a good old fashioned knock at the door from Peter McGeorge – who was considered to be a legend of the local Black Rock area in the 1980’s – was the beginning of a friendship with Bernie and the organisation of a bike ride; leaving from the Black Rock Clock Tower at 7am on Saturday morning, with one other gentlemen by the name of Rob Cork. Early days the three of them would ride up to Seaford Rd and back, before developing into the Hell Ride route that is done today. Although there is one slight exception from when Bernie did it, and that is the bunch would cut down Station Street between Mordialloc and Carrum, whereas today it’s on Nepean HWY between Mordialloc and where it turns into the Mt Eliza Village at The Peninsula School. The Hell Ride route that’s done today. According to Bernie, Peter McGeorge was quite a competitive character so any bike ride with him involved would normally turn competitive. The group of three would roll turns from Seaford back to Black Rock, rolling 2-minute turns a piece, with a sprint finish to Second Street (Black Rock) to wrap things up. Bernie can’t remember exactly how it grew, but it appears to be a similar story of how many bunch rides grow today. Or maybe before WhatsApp, I should say! Someone knew someone that wanted to join in, then that person knew someone else, and then all of a sudden you’ve got a big bunch ride happening. All through word of mouth. Bernie did the Hell Ride all throughout the 80’s, including post his football career. He said the numbers were around 50-60 riders back then. Asking Bernie about the behaviour of the bunch back in the 80’s, he describes one of the nuances that we were planning to investigate deeply in the proposed documentary. “While riders would always be taking precautions”, the size and speed of the bunch meant that, on occasion, some riders would be caught mid-way through a light turning from green to amber to red. Speaking with Bernie about the angst from drivers towards cyclists back then, I don’t believe that was ever considered to be a targeted issue, like it is today. After Bernie got into commentary with the ABC and Channel 7 in the early 90’s he stopped doing the Hell Ride. He said he didn’t want to be knackered while commentating, ‘falling asleep during the game’ from pushing it on the Hell Ride. However, Bernie became an advocate of bunch riding and the Hell Ride for fitness, sending down many VFL/AFL players during his time as fitness coach at Footscray / Western Bulldogs. Notable players were Jon Ballantyne, Glen Coleman, Chris Grant, Danny Del-Re and many others. Bernie said back then the club would love players doing any extra work in the off season. 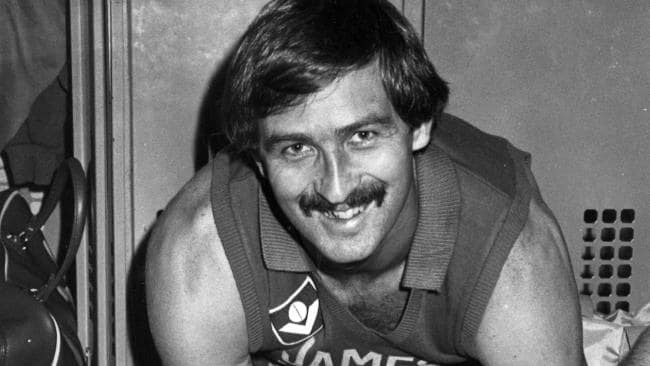 Bernie played 366 games at both Fitzroy and Footscray. He won a Brownlow Medal at 30 and back-to-back Coleman Medals at the ages of 32 and 33. One of the most successful VFL/AFL footballers of all time, and known by many as “Superboot” for his ability to kick exceptionally long distances. When Bernie, Rob, and Peter started just some other group ride 34 years ago, never did they anticipate it would become the most renowned bunch ride in Australia. Given the sheer size of the Hell Ride today, there is some controversy that surrounds the bunch. There’s a stigma attached to it. After analysing the Hell Ride for almost 12 months now, and taking hours and hours of video footage, it’s pretty clear to me that the positives of the Hell Ride, FAR outweigh the negatives. I truly believe the negatives can be mitigated through better education, as from what have seen, the core group of the Hell Ride are some of the best road cyclists in Melbourne. 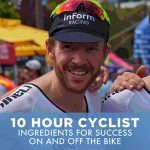 Many of them are A grade criterium riders and are heavily involved at the local club scene, with some even coaching/guiding other new up-and-coming cyclists on how to ride a bike. From what I’ve witnessed – and I have video footage to prove this point in later content – it’s the warmer months of the year that attract the inexperienced riders who think they’ll give the Hell Ride a go, with some riders even deciding to jump onto the back of the Hell Ride for maybe a 5 – 10 km stint. A heat of the moment style situation. This is clearly not a good thing to be doing and it’s proven to cause many incidents that I have captured. 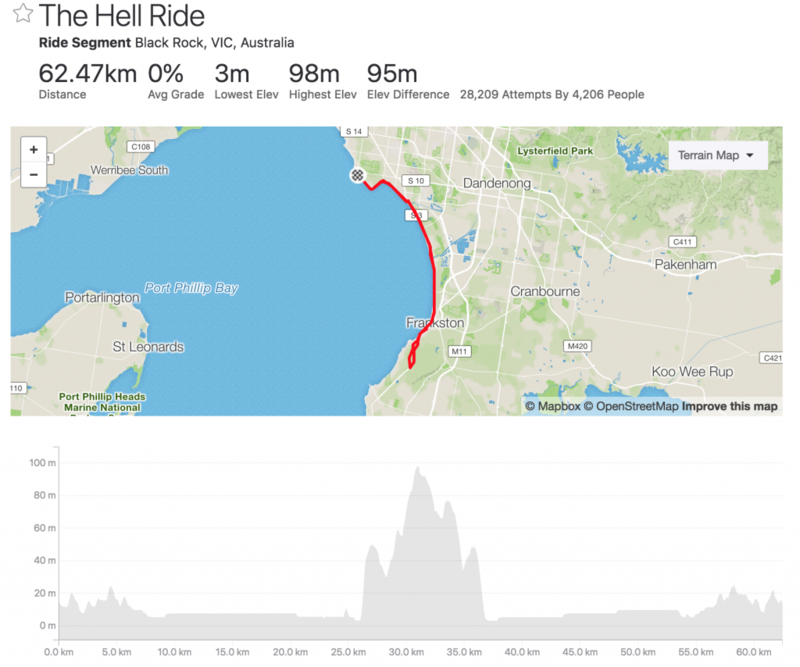 It also makes the Hell Ride look completely out of control, which is often during the busiest part of the ride, when more eyes are on the bunch between Mordialloc and Black Rock. Ultimately fuelling the bad name it gets. While the Hell Ride is more renowned and larger than it ever was way back when Bernie, Peter, and Rob were doing it, the positives Bernie sum up about this renowned bunch ride synergise with how I see it today. For him, it was incredibly good for his fitness. He said he’d never been fitter doing the Hell Ride. The group also motivated him to get out there in the fresh air, with Bernie describing the Hell Ride as a weekly catch up with good friends; a social activity as much as it was good for fitness. 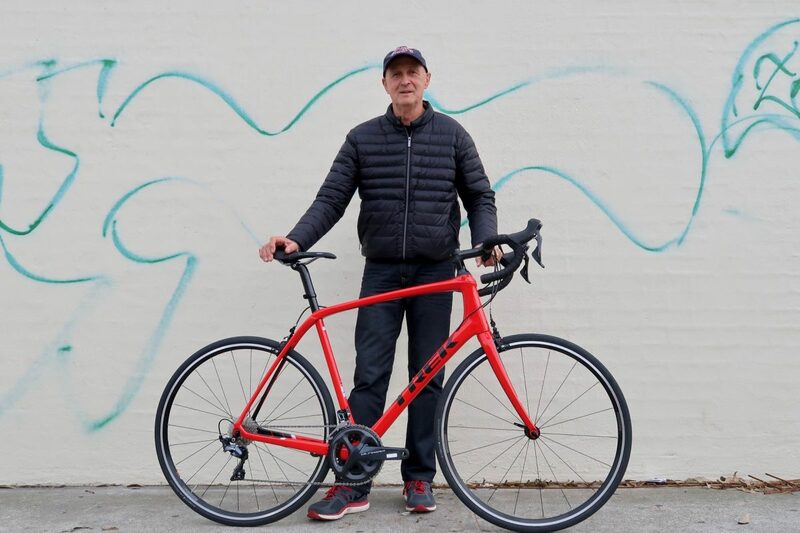 While I went into this discussion with Bernie really eager to learn about how this Melbourne cycling institution came about, I left Omara Cycles Café post our chat inspired in an unexpected way. The activity of cycling wins again, I thought to myself. Bernie had a very successful twilight period of his career. Some would argue his best. He won a Brownlow Medal at the age of 30 and back-to-back Colemans at the age of 32 and 33. Managing to play 366 games, which is within the top ten players in the history of VFL/AFL. At the end of our interview discussion, Bernie proclaims that bike riding and doing the Hell Ride prolonged his career. It was something that motivated him to take his fitness to new levels in the later part of his career, when he was struggling with a deliberating injury. A nicely researched article on the history of the Hell Ride. My first impression of it was when I saw them zooming past me a few years back on my way to Frankston. Even until today I find it too sketchy for my liking. A fast, big bunch consisting of riders with different levels and capabilities just increases the risk. We’re lucky to be in Melbourne that there are many more bunch rides around these days, even during mid-winter. I’m a regular for a couple of them, and wrote about it as well.